With Microsoft’s BUILD and Apple’s WWDC now done and dusted, Google will be the last of the Big Three to run its annual developer event when I/O kicks off in San Francisco next week, and following on from the recent announcement of its smartwatch-flavored Android Wear software, the search giant’s emphasis on the emerging wearables market will likely be atop the agenda. In advance of arguably the biggest date in the company’s calendar for this year, an introduction clip of Android Wear has just been released, offering even more of an insight into what smartwatch owners can expect from this extension of the company’s traditional mobile software. Within the clip, there are few surprises, with Google naturally wanting to hold back some of the juicier details for those tuning into I/O. However, if you haven’t really caught much of the Android Wear coverage floating around the blogosphere up until this point, the video does showcase how a user will interact with their Android Wear-running gadget, and the intention appears to ramp up excitement in anticipation for the imminent developer event. Android Wear was first announced all the way back in March, with a developer preview instantly available for those looking to create apps for the platform. At the time, Google also reeled off a list of manufacturing partners, including ASUS and HTC, but it was both LG and the Big G’s former subsidiary Motorola that really took the bull by the horns and announced their own, notably different smartwatch efforts. LG’s G Watch takes on a form factor vaguely similar to what we’ve seen from Sony and Pebble, but Motorola’s Moto 360 is quite the departure from anything released so far, sporting a circular face akin to a more traditional wristwatch. Judging by the feedback we got from you guys, it seemed that many of you are swaying towards the charm and grace of the Moto 360 in the battle of the early Android Wear devices, but with plenty of other companies set to join the race fairly soon, you might want to resist the temptation of becoming an early adopter and instead wait and see what else might be on the horizon before stumping up any of your hard-earned cash. 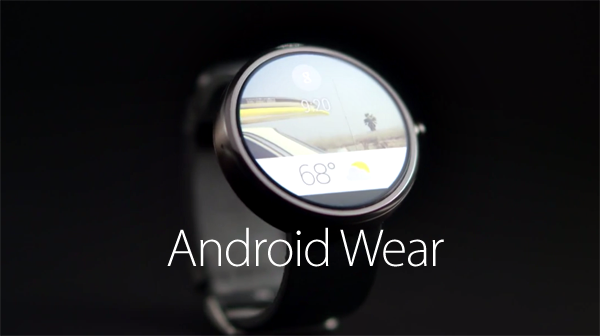 Anyway, check the Android Wear intro below, and be sure to leave your thoughts via the usual channels!